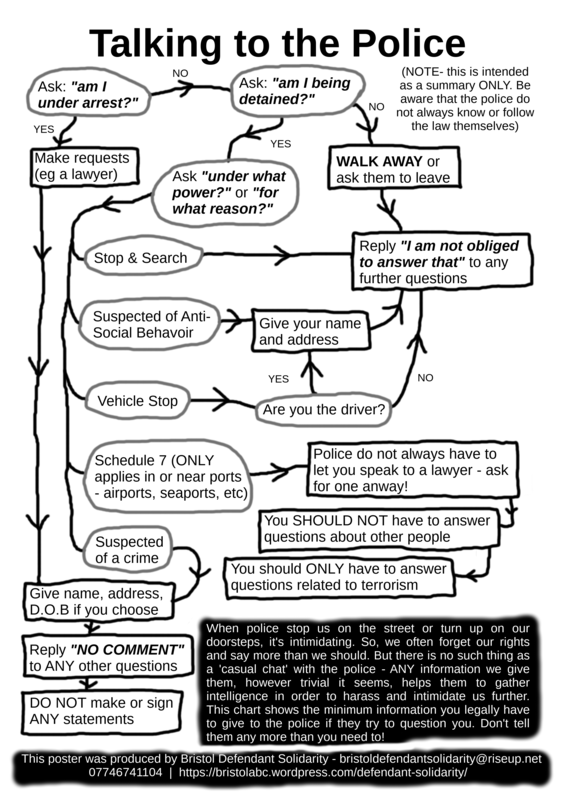 This poster is a summary of the minimum information that you need to give to the police when they try to talk to you. Be aware that police do not always follow the law themselves. Read our guide to dealing with the police too!